It’s very small with a 3mm x 3mm footprint. 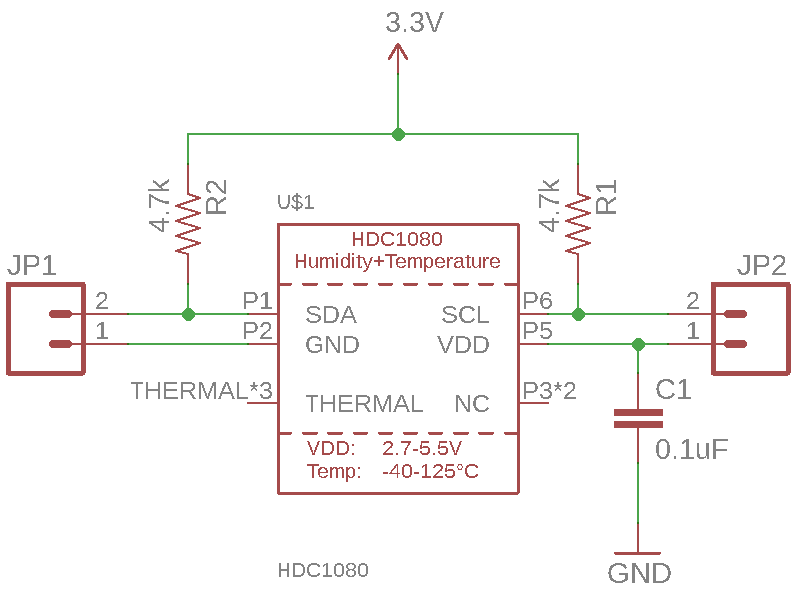 The I2C interface makes it easy to interface with something like an Arduino or Raspberry Pi. 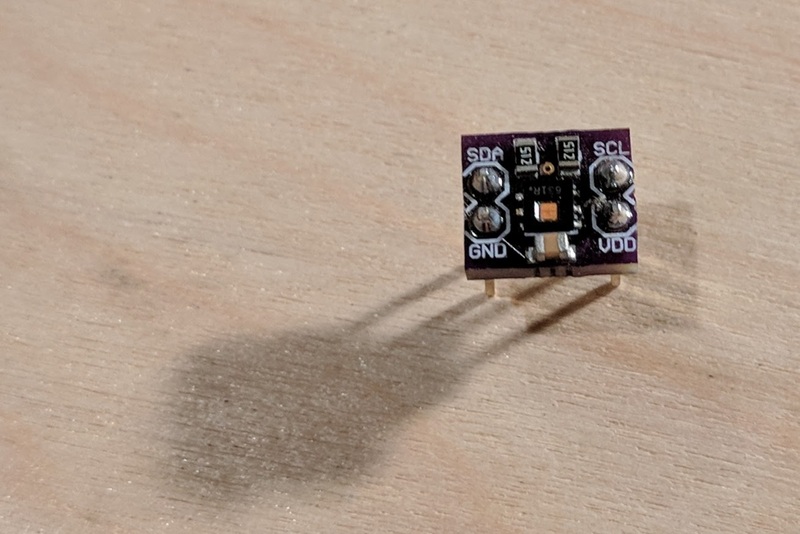 A breadboard-friendly breakout board is helpful for prototyping. Below is a schematic for one. It includes pullup resistors for the data and clock lines as well as a small bypass capacitor. I’ve uploaded the Eagle design files to GitHub. Here is some sample code for the Particle Photon that reads the temperature and humidity every three seconds and publishes it to the cloud. There are also some lines commented out that will print the data to the serial port. Since Particle uses the same Wiring programming language as Arduino, you can port this code with only minor changes.